Beginning this Thursday, May 15th, registered cyclists will meet at the Camp Milton Historic Preserve Trail Head which is a midpoint location and will allow riders to take advantage of more shade during their ride. Go west on I-10, Exit at Chaffee Rd. Go north to Beaver St/Highway 90, turn left. to 1175 Halsema Road north. *Entrance to Camp Milton is on the right. Follow signs to the trailhead. 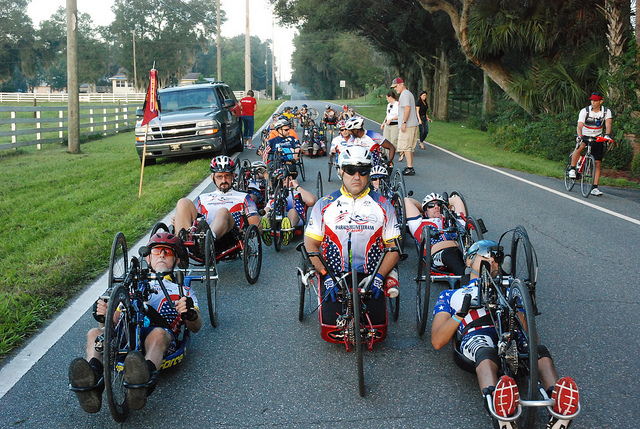 This entry was posted in Special Events and tagged Adaptive Cycling, Adaptive Sports, Brooks Adaptive Sports and Recreation, Brooks Rehabilitation on May 16, 2014 by brooksadaptivesports.